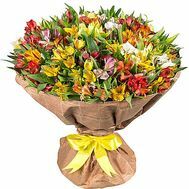 A large bouquet of flowers is an unusual, stylish and extraordinary kind of gift. 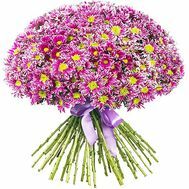 Ordinary bouquets attract attention with the beauty of their design, different floral arrangement, but VIP gifts are good in another. 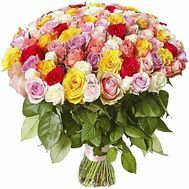 They involuntarily attract to their eyes the quantity and quality of flowers, the freshness of delicate and fragile heads, into which one wants to plunge headlong. 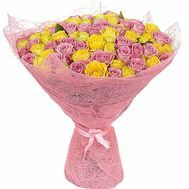 And because such a gift is brighter than others, it even screams about the impossibility to control one's feelings and about the deep, strong connection between you and the recipient. 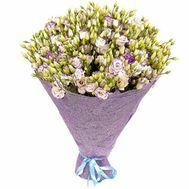 VIP presents are a special kind of gift that fascinates with its appearance, luxury and insane quantity of fresh buds. 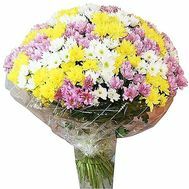 Huge armfuls of flowers have won their popularity not only thanks to beauty, but also to their greatness, after all, such a gift can be presented only by a madly enamored person. 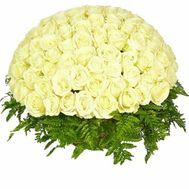 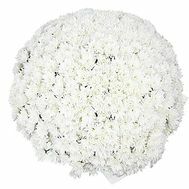 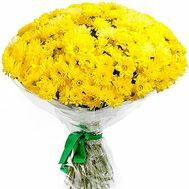 In our store you can find a variety of VIP bouquets: a bouquet of large roses, large bouquets of roses and chrysanthemums, a huge bouquet of white lilies, a giant bouquet of chrysanthemums and much more. 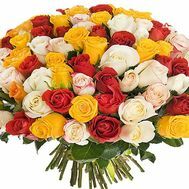 Each of these presents is made up by professional florists who take into account your every wish and whim. 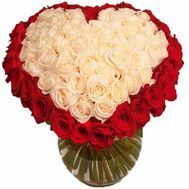 Of course, roses are the most popular. 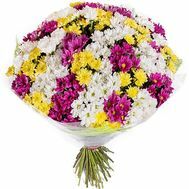 A large bouquet of these flowers will fit just about always and everywhere. 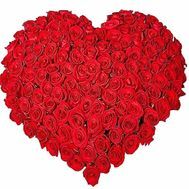 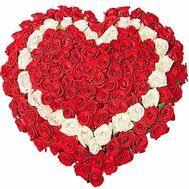 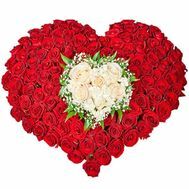 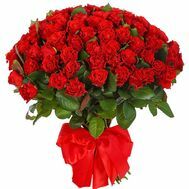 The largest bouquet of roses that only exists will be the right gift for your beloved on February 14th. 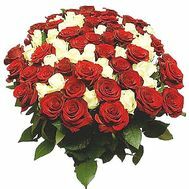 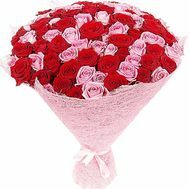 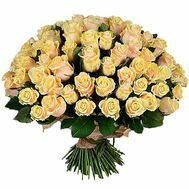 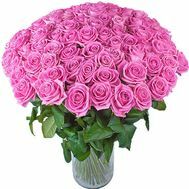 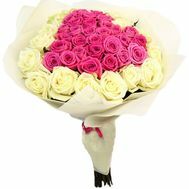 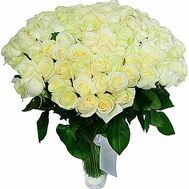 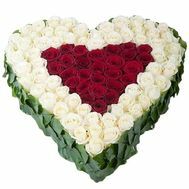 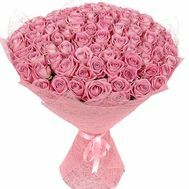 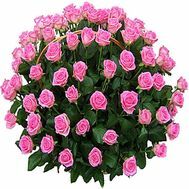 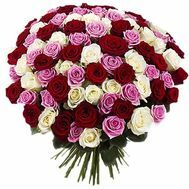 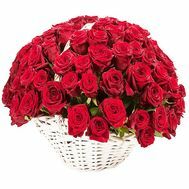 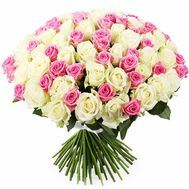 A very large bouquet with roses will tell about feelings and love, tenderness and trembling. 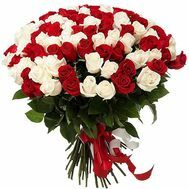 A large bouquet of red roses or white roses is ideal for a gift for your beloved wife in honor of the anniversary of your relationship with her or on the anniversary. 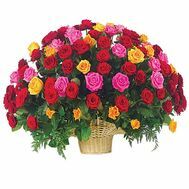 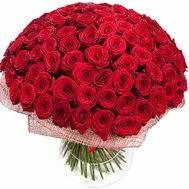 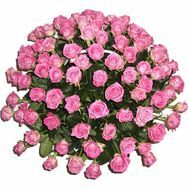 A large bouquet of roses for the birthday of your beloved mother we will gather with special love, from the best and biggest buds. 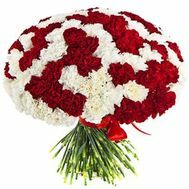 But on the wedding day, the newlyweds we recommend to pay attention to a large bouquet of roses of two colors: red and white, which will emphasize the passion and sensitivity of this pair, and the importance of this day. 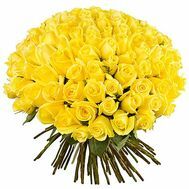 We have been working since 2008, we have more than 300 representative offices throughout Ukraine and have already fulfilled more than 40,000 orders from our favorite customers. 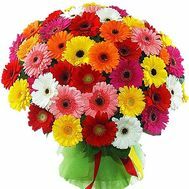 Our delivery service has a lot of experience and professionalism. 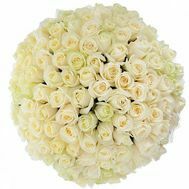 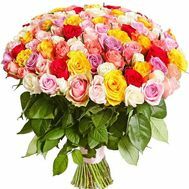 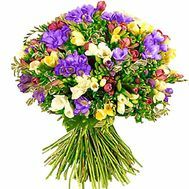 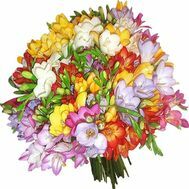 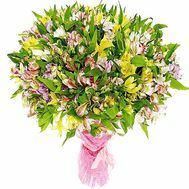 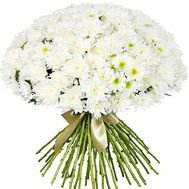 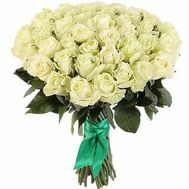 We can place an order with delivery to any city in Ukraine, and we guarantee that we will deliver at the right time your bouquet. 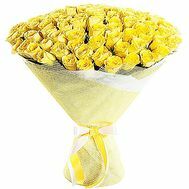 We can deliver the order anonymously by attaching a free postcard with your wishes. 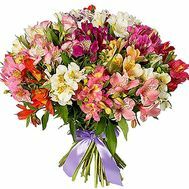 We also have a photo report service: we can photograph the recipient with a bouquet, and afterwards send the photo to your mailbox. 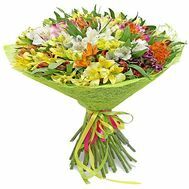 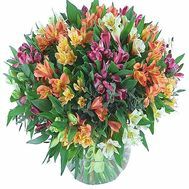 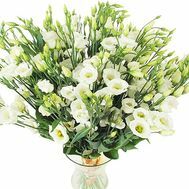 This will allow you to see that the flowers you bought are in the right hands and caused the right emotions.